Remove soil with a broom, non-oily dust mop or vacuum. Damp mop or spot-clean using CLEAN, warm water or water and a pH neutral tile cleaner. Avoid all products containing bleach or acids, as they can weaken the grout (opening the pores & causing it to get dirtier more quickly). Always rinse thoroughly with CLEAN, warm water and allow to dry. When mopping, change rinse water often. Shower tile looks its best when you remove excess water with a squeegee after each use and run the exhaust fan for at least 20 minutes after a shower. Tile distributors sell cleaning products developed specifically for tile and stone. These specialized cleaning products generally outperform products available from large retailers. For stubborn grout stains, agitate with a fiber or nylon-type scrubbing pad and a higher concentration of the pH neutral cleaning solution. 2) Should I seal my tile? While not a part of a base-level tile installation, sealers can be applied to further protect your investment. Sealers should be applied to cement-based grouts when the installation is thoroughly dry and after the initial grouting has cured at least two weeks. 3) What to do with the ‘crack’ between tile and counter or tub? The joint between the tub and tile wall and the counter-top and tile splash have the potential to separate with seasonal changes. As a house settles or the tub flexes, the grout in these joints may periodically crack. 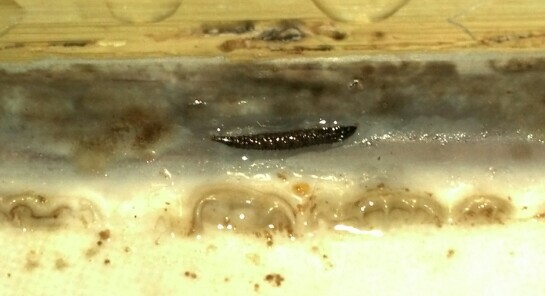 If this happens, remove the old grout with a sharp-pointed tool. (Be careful not to chip tile or tub.) Dry the joint thoroughly, and fill with silicone sealant, available in tubes at hardware stores and in matching colors at most tile distributors. Broken or damaged tiles should be removed and replaced only by a reputable tile installer. We are glad to be a resource for our customers and our community. And it’s just fun to #TalkTile. Categories: Ceramic tile, Local business, Tile cleaning, Tile installation expertise | Tags: Grout sealant, repair tile | Permalink. Is your tile cleaner ruining your grout? The best tile installation can be ruined over time by using the wrong cleaner. It seems the epoxy grout we had installed (as per the specifications) was deteriorating, leaving gaps and very unsightly grout joints throughout the project. The grout we used at that time was a new brand to the market, but was approved by all authorities for a commercial installation. When we went to evaluate the current situation for the customer, we observed that the areas closest to the walls and out of the normal traffic pattern were in-tact, and the grout still looked good. However, the area where routine cleaning had taken place were the areas of greatest deterioration. We suggested the building owner find out what kind of cleaner the maintenance crew has been using. You see, a newer type of “no rinse” cleaner is often used in commercial applications. These enzymatic cleaners accelerate the breakdown of products such as sugars, fats, proteins, and body fluids. And, because they are left on the floors overnight, the byproduct of the breakdown is acidic and cumulative. After days, and weeks of using this type of cleaner, a highly acidic solution develops that rapidly deteriorates grouts. There are some newer grouts that have been developed to withstand these harsh cleaners, but these must be specified prior to tile installation and most manufacturers still will not warranty their products against ‘no rinse’ cleaners. 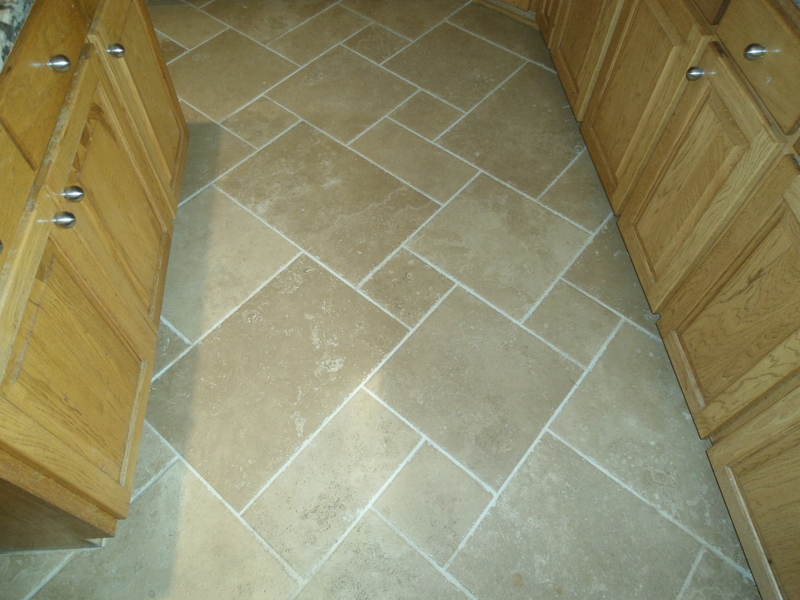 Keep your new tile installation looking good by cleaning it with the proper product. We give our customers maintenance instructions, and always recommend a pH-neutral cleaner be used on tile and grout. 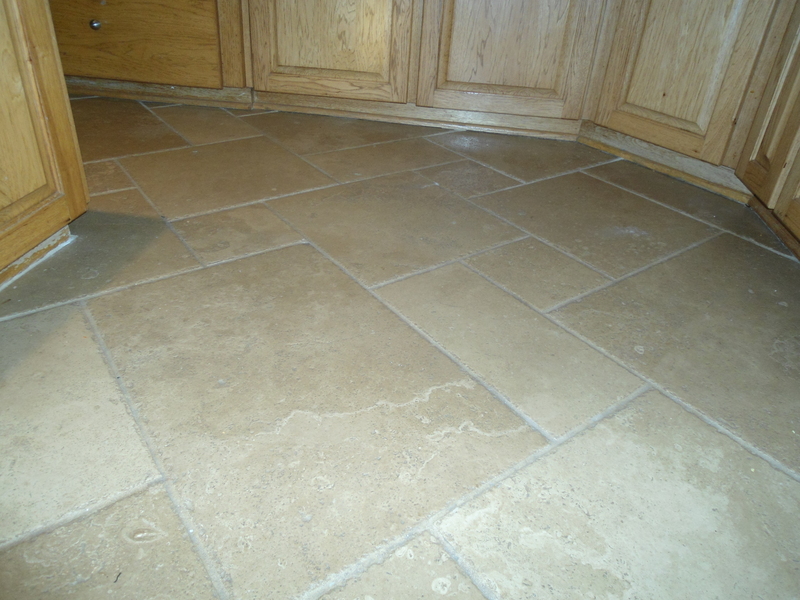 Vinegar, bleach, “no rinse”, and acidic cleaners used over time are damaging to grout – of any kind. 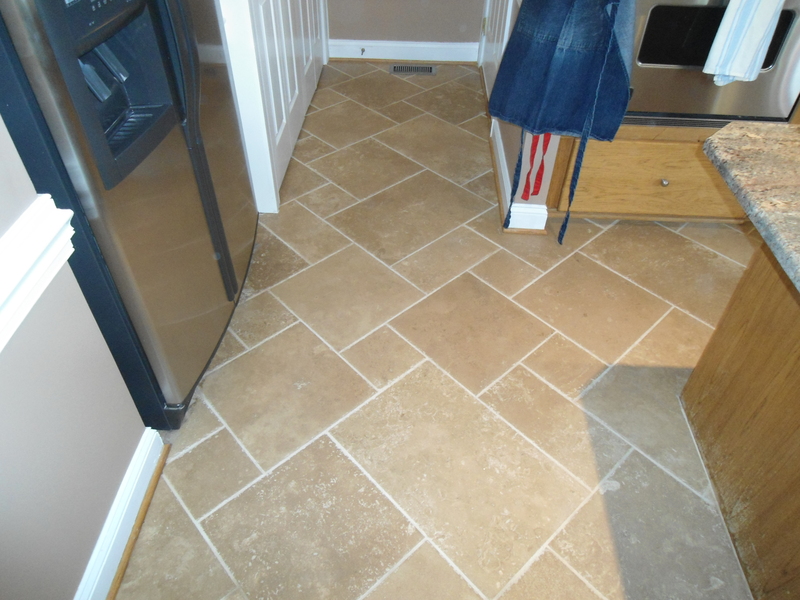 It matters who installs your tile – and it matters how you maintain it! Categories: Tile cleaning, Tile installation expertise | Tags: Clean ceramic tile naturally, Clean mildew on tile, grout joints | Permalink. Cleaning your tile with bleach-based products may seem like a good solution to get rid of the ‘gunk’ growing in your shower, but it may have the exact opposite effect. 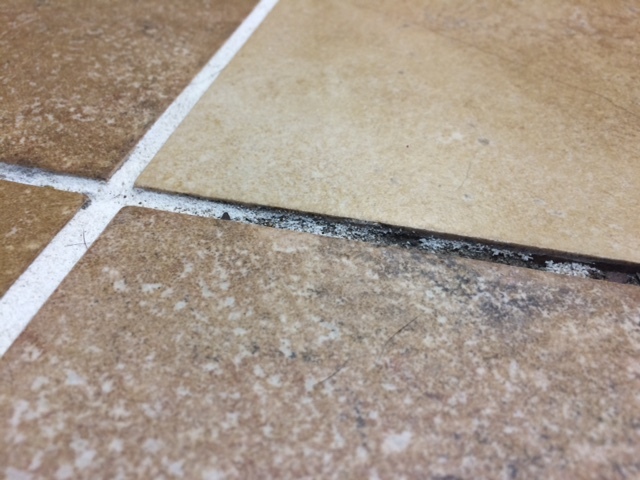 Bleach-based products sold by many manufacturers as “mildew solutions or preventives” actually open the pores of the grout between your tiles and encourage the growth of even more bacteria. This can cause your cementitious grout to deteriorate, and it can make your grout more susceptible to bacteria growth, meaning you’ll be cleaning it even more often. This works well for manufacturers of off-the-shelf, bleach-based products, but it’s causing more work for you, costing you extra money, and releasing more chemicals into your environment. There are many good pH-Neutral tile cleaners sold at local tile distributors, or you can check out our website, www.neusetile.com, for links to our favorites. Categories: Ceramic tile, Tile cleaning, Tile installation expertise | Tags: Antimicrobial for tile, Clean ceramic tile naturally, Clean mildew on tile, Green tile | Permalink. 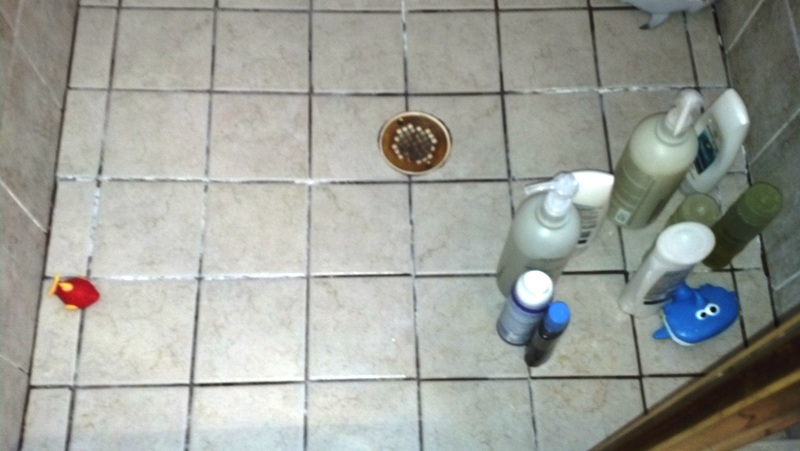 Scroll down for a before-and-after picture of a grout transformation. We installed this kitchen tile 6 years ago, and it’s had some heavy-duty traffic, so the grout had gotten pretty dingy. A thorough clean from our technicians, and the floor looks as good as it did when it was new! Tile and grout renewed after our heavy-duty cleaning. Kitchen tile with 6 years of heavy traffic. Categories: Ceramic tile, Installing tile and stone, Local business, Tile cleaning | Tags: Clean ceramic tile naturally, Clean mildew on tile, Grout sealant, Quality tile install, Raleigh tile installer | Permalink. “Mopping a floor is not a method of thorough cleaning; it is a method of minimal soil removal and primarily a means of soil redistribution over a broad area. While a mop picks up very little soil it makes a great application tool for many cleaning products. Great floor care advice from Dave Gobis in a recent Tile Magazine article. Check out his do’s and don’ts for maintenance. 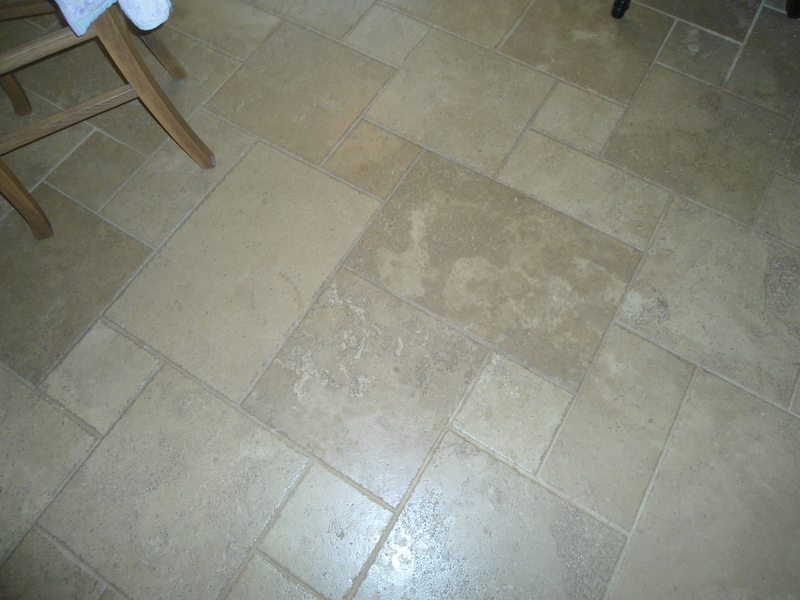 Categories: Ceramic tile, Tile cleaning | Tags: Clean ceramic tile naturally, Clean mildew on tile, Tile safety | Permalink.